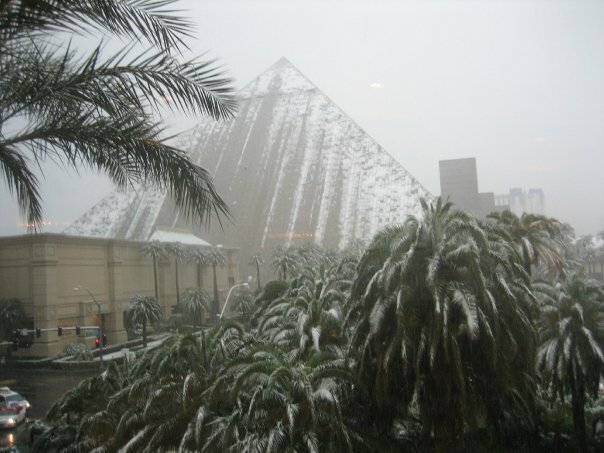 Snow in Las Vegas – I never thought that could happen! But it did, in December 2008, when this photo was taken. Luckily an American friend warned me how cold it could get in the winter. Otherwise I would have expected it to be hot, just like the other two times that I had previously been there. It is a desert after all, and I had to drive through Death Valley, the hottest place on the planet, in order to get there each time. My past experiences had negatively impacted my ability to predict what the weather would be like in winter. But why was this so? Have you ever wondered why past experiences can damage judgment? Why you should never accept a “free” drink? Why we prefer a wrong map to no map at all? Why you should forget the past when making a decision? Why less is sometimes more? Why a lame excuse is better than none? ‘The Art of Thinking Clearly’ by Rolf Dobelli answers all of these questions and more. He lists 99 cognitive biases, or thinking errors, that research has shown that the majority of us get trapped by. Each chapter is only 3-4 pages in length, and introduces a cognitive bias, gives an example of what it is, and gives some advice for how we can avoid these errors. It has sold over a Million copies, and is extremely popular in Europe. I would highly recommend it for anyone who wants to be as effective as possible at work and as happy as possible outside of it. As well as me expecting Las Vegas to always be hot, our past experiences can also affect our judgment through the development of superstitions. Let’s imagine that I’ve played an excellent game of Basketball. My mind may reflect on the game afterwards, and think about what it was that led to me playing so well. Even though it is unlikely to be a particular cause, I could attribute it to the bowl of pasta that I ate for lunch, or that I had the orange and not the red Powerade during the game, or that I wore my special socks that were just the right level of thickness and comfort. I then try to do these same things again the next game in precisely the same way, but I don’t play as well. Instead of breaking this association then and there, my mind is more likely to look for other reasons why I didn’t play so well, and try to avoid these things too for the next game. Pretty soon, if I’m not careful, I have 20 things that I must do to play well, and I’m still not playing any better because I’m stressed out about having all of the things go “just right”. In reality, the thing that may have allowed me to play well in the first place was that I was relaxed and engaged fully in what I was doing, without having to do anything except for play the game. I see the same issue in individuals with insomnia, who “can’t sleep” unless they have their eye mask on and earplugs in, even though they aren’t sleeping well anyway, and they used to sleep well without these rituals in the past. The association bias was first discovered by the Russian Scientist Ivan Pavlov with his work on classical conditioning. He was studying the digestive system of dogs, and he realised that the dogs were able to quickly associate two previously unrelated things (bell = food) if they occurred in close enough proximity to each other. While responding to a bell that signals dinner time is helpful because the dog is better able to eat and digest their food, it may be less useful if they became hungry and started salivating each time they heard the bells of a local church. This can be applied to humans too. Not eating a poisonous berry that has previously led an individual to be sick would increase their likelihood of survival, but not being able to enjoy any berries and the antioxidant properties inherent in these may actually reduce their health over time. The reality is that there are a lot of things in this world that are out of our control, and that sometimes things just come down to luck. Our mind doesn’t like to think this, however, and tries to develop an illusion of control by assuming that things that are merely correlated are actually causally related to each other. Just because carbon emissions and obesity have both increased since the 1950s doesn’t mean that increased carbon emissions lead to an increased risk of obesity. Many other factors are likely to explain our generally expanding waistlines much more efficiently. The solution is to realise what is in your control and read up on what research has shown to be helpful for whatever it is that you are trying to do. Focus on what you can influence, and accept whatever you can’t. Carbohydrate loading before a big game or race could be helpful, as could electrolytes when dehydrated. It’s unlikely that the colour of the Powerade or the socks had anything to do with how well I played, however. Don’t let one experience influence how you react to all similar situations in the future. Build up a bigger sample size of experiences before deciding if the two things that your mind is trying to create an association between are actually helpful for you to maintain. If 10 minutes of mindfulness consistently leads to a better quality of sleep for two weeks in a row, it is worth keeping up. If not, let it go, and see what else can help. I remember a few summers ago stopping off at a winery to do a “free wine tasting” with my brother and father on the way to a hike. Fortunately, I don’t enjoy drinking wine and declined, buying some food and a drink from the cafe instead. My brother and father participated however, and both walked out with at least two bottles of wine each from the cellar door, at what I thought was a fairly hefty price for a winery that I had never heard of. Robert Cialdini, a Psychologist, has studied reciprocity, and has found that people struggle to be in another person’s debt. Where possible, they will naturally feel the urge to try to repay the favour, so that things seem equal or balanced again. Whilst this can lead to a collaborative and co-operative society, some people know about the pull of reciprocity all too well, including Kevin Spacey’s character in the ‘House of Cards’ TV show, and will use it to their advantage to get what they want when they want it. A lot of pharmaceutical companies used to go to extreme lengths (and may still try at times) to get doctors to use their products with patients, ranging from giving them pens or a nice bottle of alcohol to sponsoring conferences and all-inclusive weekends away at a lovely beach resort somewhere in the Caribbean. Even those Timeshare nights where you get a “free dinner” may not sound like such a good idea if you understand our natural urge to repay the debt to someone who gives us something for free. The solution is to think twice before saying yes to something if you really don’t want what is being offered. Your 9-year-old child comes to you and asks if they can go to the house of either of their two friends on the weekend – one family has guns in the house, and the other family has a swimming pool. Which house would you feel safer letting your child go over to? If you said the family with the swimming pool, you would be wrong, but I don’t blame you for thinking it. It is an availability bias, where what comes to your mind most easily is confused with what is right. We assume that guns are more dangerous than swimming pools, but don’t realise that guns are often locked away in a safe and secure spot in the house, whereas kids can drown very quickly in a swimming pool if they are left unattended, even briefly. In the US, as pointed out in a Steven Levitt article, one child under 10 drowns annually for every 11,000 pools, whereas only one child under 10 is killed by a gun for every one million guns. So swimming pools are almost 100 times more likely to kill children under 10 than guns. When we think of pools, we don’t think of them as a death trap typically, but instead think of summer and fun with family and friends. We are much more likely to think of the risk of death and severe injury when thinking about guns. Our risk map is therefore often wrong, replacing what is right with what information comes to our mind the easiest. We tend to overestimate the risk of dying from a plane crash or by murder and underestimate the health risks associated with smoking, binge drinking, an unhealthy diet and inactivity. The solution is to look at the statistics, and to spend time with people who think differently than you. We need external sources to understand that what is most available to us isn’t always what’s true. Let’s imagine that you have booked an upcoming holiday for yourself, and have already put down a non-refundable $500 deposit towards this trip. You still have $400 to pay. You are looking forward to this trip, but wished that you were going with some friends, as you usually don’t enjoy solo trips as much. You speak to your friends who say that they have already booked a trip for the same week. It’s at not as lovely a place, but it will only cost you $400 a week, and you really do prefer going on a trip with friends than by yourself. The sunk cost fallacy occurs when people let their past investments, whether it is time, money or emotions, influence their decision about what they should do going forward. Both trips are only going to cost you $400 from this point onwards, so the $500 that you have already spent shouldn’t factor into it. The only logical thing to do is to take the holiday that you are likely to enjoy more. I hate to waste money, so I probably would decide to say no to my friends, and try to enjoy the holiday by myself as much as possible, or see if I could get another friend to come along. This doesn’t make it the right choice, however. So how does this play out in your life? 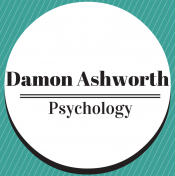 Should you stay in a uni course or job or relationship because of how far you have already come, even if it is quite evident that it is no longer the right choice for you and that another option would lead to higher happiness? It’s a tricky question again because we are horrible at being able to predict what will make us happy in the future, as highlighted in the book ‘Stumbling on Happiness’ by Dan Gilbert. The solution is to use a surrogate, and find out how happy people are that have just done or are currently doing what you would like to do. If it’s a holiday, movie, show, or restaurant, check out the reviews. If everyone else likes it, there is a good chance you will too, so go for it. And if you don’t, don’t feel that you have to see it through to the end just because you have started it. Close the book you aren’t enjoying, turn off the movie, or quit the course, providing that you think there is a better option that will allow you to achieve your long-term goals. Be brave, forget the past, and do what is likely to serve you best going forward. Ever noticed how the more of something there is, the harder it is to choose. It is the problem with online dating, cable television, potential career options, choosing what to eat for dinner, and where to go on a holiday. The more decisions we have to make, the more fatigued we become, but everywhere that we turn these days there seems to be constant need for exactly this. We used to just be able to order a coffee, but now it has to be a tall (or another size), skinny (or no milk, 1%, 2% or full cream) soy (or almond or regular cow’s milk) decaf (or caffeinated weakly, normally or extra strong) caramel (or no sugar, raw sugar, stevia, white sugar or other flavours) macchiato (or espresso, latte, flat white or cappuccino) without the cream on top (or with cream, foam or powered chocolate). No wonder people sometimes become nostalgic for a time when there were less choices and things just seemed to be easier. In his book ‘The Paradox of Choice’, Barry Schwartz, a Psychologist, talks about an experiment that was done at a supermarket where they offered 24 different samples of jelly to customers on day one, and only 6 different samples of jelly on day two. Which day led to more jelly being sold? Day two, by ten times the amount. Too many options led to indecision and paralysis, and most left without getting any jelly. By providing fewer choices, it became easier to choose which one they liked the best, and they bought it. So while we may always think that more potential partners, channels, dinner options, and holiday brochures equal a better final decision and outcome, this isn’t always the case. Large selections often lead to more unfortunate choices and greater discontent after a decision has been made. The solution is to think carefully about what you want before you decide to search through the options. If you know you want to watch a recent, Australian Horror Movie set in the outback; suddenly your search is likely to be more specific with a higher likelihood of a more favourable outcome (for your watching enjoyment, not for the characters in the movie). Then once you have made your decision, stick to it, at least for a set period of time before reviewing the situation and deciding once again. Another research study found that people were actually happier with their decision when they were unable to take it back than when they were able to change their mind whenever they felt like it in the future. This one is great, because it just doesn’t seem like it would work, but it really does. In the 1970s, Ellen Langer, a Psychologist, did an experiment in a Harvard library where she asked to cut to the front of the line at a photocopier. In the first scenario, she asked “Excuse me, I have five pages. May I use the photocopier?” 60 percent of respondents agreed to it. In the second scenario, she asked “Excuse me, I have five pages. May I use the photocopier because I’m in a rush?” 94 percent of respondents agreed to it. In the third scenario, she asked “Excuse me, I have five pages. May I go before you because I have to make some copies?” 93 percent of respondents agreed to it. Notice how the third scenario is asking the exact same thing as the first scenario, with no other reason apart from needing to make copies being provided, which would be the same as anyone else in the queue at the photocopier. Yet because the word ‘because’ is used, 33 percent more of the respondents agree to it. This was only 1 percent less than for those in a rush, a seemingly much better excuse, and one that you would expect people to allow more if they weren’t in a big hurry themselves. The solution is, therefore, to justify your reason whenever you want to do something or get away with something, even if the idea isn’t convincing or logical. It may give you that extension that you really need on the assignment because you preferred to go to the party on the weekend or get you out of the speeding ticket because it was more fun to go fast. I dare you to try it next time, because it very well may work. Just remember to include the word because. There are plenty more thinking errors that the majority of us succumb to from time to time or all the time. I am sure that I will touch on these more when talking about Cognitive Behavioural Therapy in more detail. Until then, check out ‘The Art of Thinking Clearly’, ‘Thinking Fast and Slow’ by Daniel Kahneman, or ‘Predictably Irritational’ by Dan Ariely if you are interested in learning more. Once we realise that we are not as rational and in control of our actions as it seems, I think that it becomes a lot easier to be compassionate towards ourselves after we fall into the same trap for the 100th time. The key is to identify once you have fallen into the trap and learn the steps and the skills that you need to get yourself out.